Moisés Kaufman is an award-winning director and playwright, whose plays have engrossed audiences around the world. He is also the founder and artistic director of the New York-based Tectonic Theater Project, the group that traveled to Wyoming to help research the play The Laramie Project (2000). Kaufman was born and raised in Caracas, Venezuela. He attended a business school for a while but grew bored with that subject and joined a local dramatic group, Thespis. At the age of twenty-three, Kaufman decided he wanted to become a director. It was around this same time, writes American Theatre's Don Shewey, that Kaufman also came "to grips with his homosexuality" and decided to move to New York. While in the States, Kaufman continued his studies in the dramatic arts at New York University. Kaufman's homeland, however, has not forgotten him. Venezuela demonstrated its pride for its native son by presenting a retrospective of his work at the Consulate General of Venezuela in 1993. In 1999, Venezuela once again honored him with the Artist of the Year Award, presented by the Casa del Artista. Kaufman's adopted home, the United States, has also celebrated his creative genius by bestowing him with several prestigious awards. He won the Joe A. Callaway Award as writer and director of Gross Indecency: The Three Trials of Oscar Wilde, a play that ran for more than 600 performances in New York City alone. First published in 1997, the play went on to win many other prizes, including the Lucille Lortel Award, the Outer Critics Circle Award, the Garland Award, and the GLAAD Media Award. This play, which explores what Victorian men and women thought about such topics as homosexuality, class, religion, and the British monarchy, also won the Lambda Book Award when the play was published as a book in 1998. Revenues from the production of Gross Indecency would finance Kaufman's subsequent and also extremely successful venture, The Laramie Project. Kaufman directed the 2004 Pulitzer Prize and Tony Award—winning play I Am My Own Wife, a story about a German transvestite. 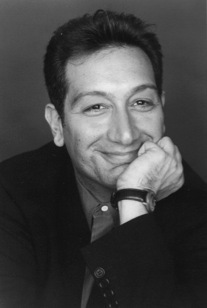 In addition to his roles as director and writer, Kaufman has taught the art of direction at the 42nd Street Collective in New York. As of 2005, he was working on an original piece called 33 Variations, a story inspired by Beethovan's Diabelli Variations.